The internet has entered the era of voice search. People who want to save their thumbs and cut the frustration of typing on a tiny keypad, can ask their digital assistant anything from the weather forecast to the price of a pair of sneakers. By the year 2020, voice search will comprise 50% of all internet searches. Thanks to the advent and distribution of voice assistants like Alexa, voice search is particularly relevant to product research. Amazingly, 62% of companies are not re-optimizing for voice and will be scrambling to regain market share in the coming months and years. Your business doesn’t have to be one of those. Voice search gives users a quick, efficient, and hands-free way to find what they need. It’s easy to use in the car, while standing in line, or while occupied in the bathroom. It’s simpler than typing, and it has a certain coolness factor. You can now discover voice search using Google home, Amazon Echo or your mobile devices. Whether you have an iPhone or Android phone voice search is available on more and more devices nowadays. We all know Siri and hello Google has become a phrase that is very popular to Android users. It's up to you to choose the voice service that suits you best. From the sellers’ perspective, voice search also gives more insight into a customer’s intention than the keywords they happen to use in a search string do. When typing something in a search engine people tend to use the main objective of their search, one or two words. But when using voice search and smart home devices users will be much more open to using long tail keywords and showing what is their actual intention. People of all ages work with voice. Millennials - today’s 18-34 year olds - mainly use it to manage alarms, review movie schedules, and play music and audiobooks. Gen Xers - people born from the mid-1960s through the mid-1970s - use voice to find contact phone numbers, identify song lyrics, make shopping lists, and get an update on the news. Baby boomers - those born between 1946 and 1964 - use voice to convert measurements, search recipes, find out the weather, and add events to their calendars. How is voice search different from traditional searching? Early research indicates that voice searchers are more action oriented than traditional searchers. That means they are likelier to buy. Their searches also tend to use natural, more intuitive, and longer search strings. Since voice searches are often expressed in problem-solution terms, make sure your content answers the who, what, where, when, and how questions. Where is voice search going in the future? Expect voice search results of the future to be a lot less formulaic than they are today. As AI pushes the frontiers of what’s possible in machine learning, stand-alone digital assistants like Alexa will grow more sophisticated at determining the searcher’s intent behind the language. How does Amazon voice search work? For Amazon Fire TV, you can use voice search with either the voice remote or the stick. To use voice search, press and hold the Voice button on your Amazon Fire TV Voice Remote or Fire TV Remote App. Amazon Fire TV voice commands are simple. Say the name of the TV show, movie, genre, actor or director you are seeking. Release the Voice button when you're done. Amazon Echo is the smart speakers created by Amazon, that connect to the intelligent personal assistant service Alexa. Alexa skills are always developing, from voice recognition, basic commands like play music or set an alarm Alexa can type emails for you, find the content you want and set appointments for you very easily. Amazon's Alexa works on a number of devices like the Echo, Echo Dot, Echo Show, Echo Spot, Echo Plus, Echo Input, Tap. There is always a new echo smart speaker coming out which offers even more options and accurate voice service. 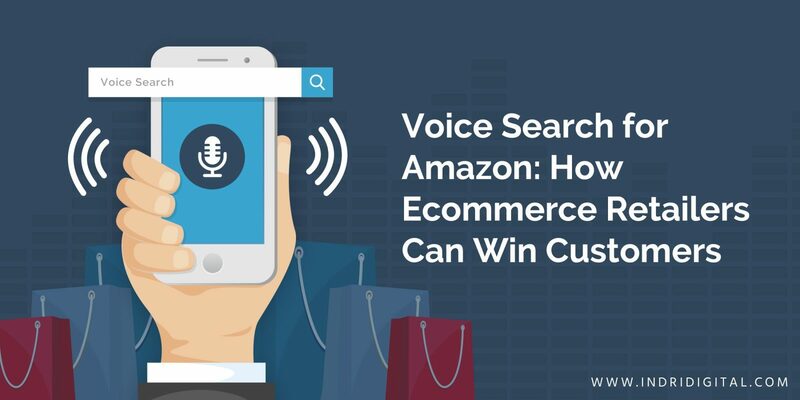 What steps can e-commerce retailers take to optimize their sites and products for voice searching? Start using queries rather than keywords. Queries are longer, more conversational, and often more geo-centric than a traditional text search. Add longtails to your keywords, and use more questions in your text. Talk like real people do. If you haven’t stopped keyword stuffing your webpages, now’s the time to do it. Make sure your prose is natural and conversational. You don’t want to dumb it down, but you don’t want to sound overly erudite either. And for sure, don’t let your text get too wordy. Work with your customer support team to determine what questions your customers ask. Build your text around those common, customer-centered questions. Keep your content local. About 50% of mobile visitors who perform a local search visit a brick-and-mortar store within one day. Voice search is growing. Companies that succeed will make it possible for their customers to do all they want to do using only their voices. From the corporate perspective, that means ranking for long-tail keyword questions, deep-linking apps, and continuing to build customer-centered content.